The “great” era of distinct banking sector taxation in Europe and above all in Central and Eastern Europe seemed to be over. In Hungary, Austria and Slovakia, special taxation for banks has tended to fall in recent years. In some other countries, special bank taxation was discussed – e.g. in the Czech Republic or Romania – but it was not implemented. At the end of the year 2018, however, the government in Romania hit the headlines with a strange ad-hoc initiative: A significant special tax for banks on total assets, combined with special taxes for other sectors, should contribute to the fiscal consolidation currently necessary in Romania. And here first doubts may arise. It means that the bank tax should not serve at least partly as a buffer like in other countries. 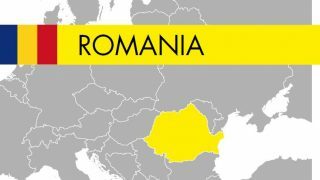 Moreover, the banking sector in Romania has not caused any direct costs for the taxpayer in recent years. On the contrary, the banking sector has shouldered much of the necessary restructuring and consolidation after the credit boom from 2004 to 2008/2009. In this respect, it is not surprising that (foreign) credit institutions operating on the local market and thus acting as long-term equity investors are struggling with recent taxation initiatives. It feels as if efforts made over the last few years are not being rewarded, while at the same time the medium-term business prospects are being massively impaired. Furthermore, the private sector now seems to be at the mercy of a fiscal policy that is clearly too pro-cyclical. Given the stage of the economic cycle and still strong GDP growth figures, it is surprising that a deficit target of 3 per cent of the GDP cannot be met without special tax manoeuvres. 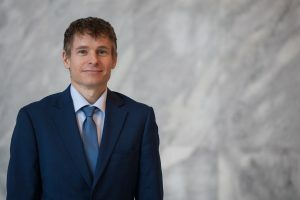 In addition, many foreign investors have become sensitive to the uncoordinated ah-hoc approach in which special sectoral taxes had been introduced. That said, bank taxation a la Romania comes along with some dubious nitty-gritties (e.g. coupling to domestic interest rates, possibly negative effects on monetary policy transmission, pro-cyclical bias of fiscal policy could be strengthened). Moreover, the need for a special banking sector taxation was partially justified with so-called “excess profits”. However, from a long-term and strategic investor perspective, the local banking sector is probably not so profitable. 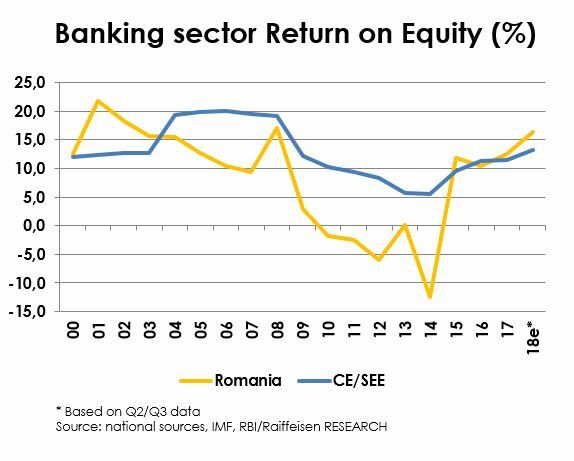 From 2000 to 2017, the Romanian banking sector’s return on equity in twelve years was below the average in Central and Southeastern Europe and above it in only six years. Moreover, the profitable years hardly compensated for the years of below-average profitability, with massive losses in some cases. The largely foreign-owned banking sector had to digest four loss-making years (2010, 2011, 2012 and 2014), while even the difficult Hungarian banking sector was “only” loss-making for three years (2011, 2012 and 2014). In terms of number of loss-making years (over the last decade), only the Ukrainian banking sector performs worse than the Romanian banking sector in the broader CEE region! The national currency reacted rather quickly to recent negative headlines from Romania and reached new historic lows. The medium- to long-term effects of recent taxation initiatives cannot yet be clearly quantified. This holds especially true as some operational details are not fully known yet. However, it seems clear that bank lending will become much more restrictive in the future. This is particularly relevant in the case of Romania, as larger parts of the consumption-driven economic growth of recent years were also partially credit-financed. Moreover, from a fundamental point of view – after the debt relief of recent years – there is room for solid loan growth, i.e. an increase of the financial intermediation level, in itself. In this respect, one might even think that some pessimists are currently exaggerating by deriving negative effects from bank taxation. After all, one can even say that the effects of the high sectoral taxes introduced in Hungary, incl. a hefty banking sector tax, years ago were not as dramatic as feared. However, it should be noted that the private sector in Hungary was dramatically overindebted at the time. For this reason, the banking sector had to shrink for a long time (nearly a decade) anyway, rather than expand. In Romania the situation is completely different. After the adjustments of recent years would now be the time for the next credit cycle. Moreover, it should also be noted that the special sectoral taxes in Hungary took place in an environment characterized by a qualitatively much deeper economic integration with the EU (e.g. when it comes to trade or the Foreign Direct Investment penetration) compared to Romania. In this respect, there are on the one hand more path dependencies and, if necessary, incentives to maintain long-term investments. In addition, the banking sector in Hungary had previously contributed to a considerable over-indebtedness, while the country was characterised by very weak economic growth and thus quite considerable fiscal deficits back in 2010/2011. 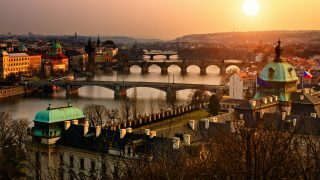 The experience of recent years in Central and Eastern Europe has taught us that times of particularly high bank taxation come and go in a particular country. However, Western banks operating in Central and Eastern Europe have also learned to see through the economic and electoral cycles. Nevertheless, it should be noted that the negative macroeconomic effects of high bank sector taxation could be greater in Romania than in Hungary. This needs to be taken into account in the current discussion at the local and international level – without dramatizing it. 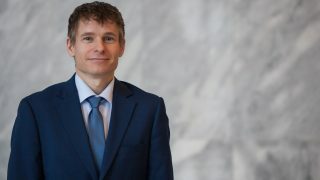 Gunter Deuber is Head of Economics, Fixed Income and FX Research at Raiffeisen Bank International in Vienna. Banking in Belarus: From a stronghold of stability to a model of privatisation?